Six weeks since the last ‘proper’ post, time flies when you’re spending an hour or so every day watering the plot. This morning I’ve woken to the blissful sound of gentle rainfall and am breathing a heavy sigh of relief that there might be an opportunity to get on with some other jobs that need doing; tidying the greenhouse anyone? It seems wrong to gripe about the sun after the cold, wet Spring but let’s face it complaining about the weather is one of the things us gardeners do best. 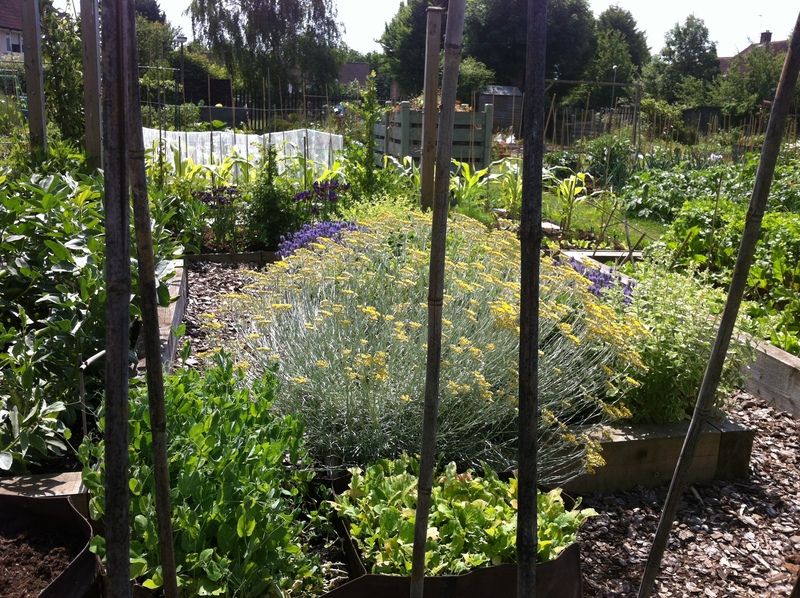 What I have enjoyed is visiting the plot much earlier in the day than I otherwise would, around 7.30am, while it’s still relatively cool, what a joy I’ve missed out on. So, lots has been happening. 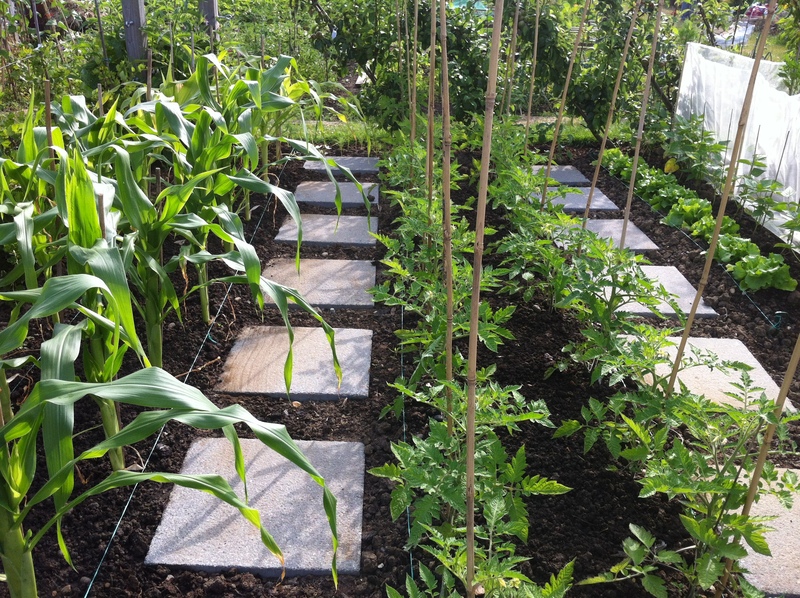 The sweetcorn has tassels and the cobs are starting to form, tomatoes are tied in, side shoots trimmed and first fruits visible. There are good crops of beetroot, coriander and butterhead lettuce and in the next week new potatoes. Garlic and shallots are up and drying in the green house. Less successful were radishes, which were roundly attacked by weevils and broad beans that were all pod and no bean. We’re clearing these beds quickly to get plant carrots, parsnips and turnips planted, more of which in a later post. Thank you for reading. Let me know in the comments what you’ve been up to on the plot. I have been in awe of everything that is going on in the polytunnel. It is going really well but for two things. I choose the wrong variety cucumber, they taste bitter. The other is that I am growing brassicas like broccoli inside. The plants are huge but the broccolis are small. 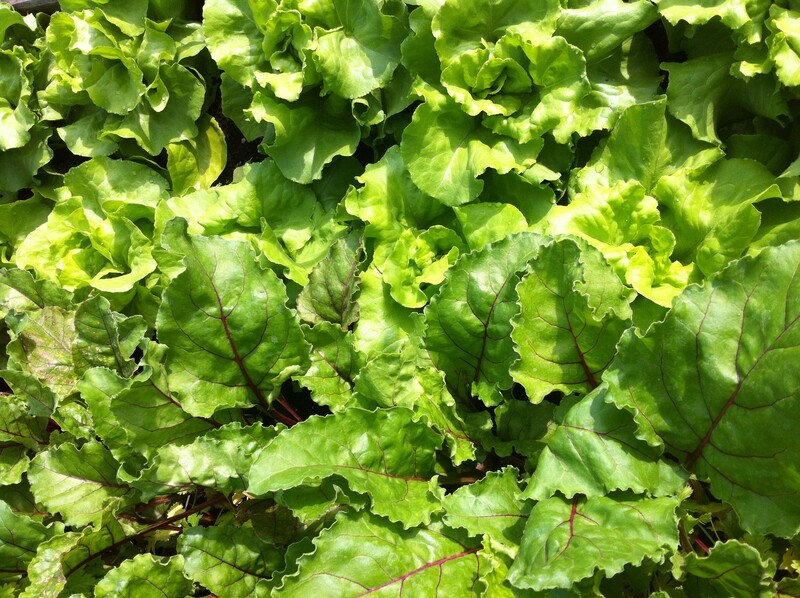 We have harvested loads of peas, lettuces, french beans, strawberries and early potatoes. Wow, yopur garden looks wonderful, although I shouldnt complain it is winter here and I have got cabbages, broccoli, kale,fennel leeks and yams.all flourishing. Lots of weeds, ground is too wet to pull, well thats my excuse! My Broad Beans were a total flop this year. Many of the (few) pods had only one or two beans in them – some none at all. BTW, I’d just ike to say how much I admire the neatness of your plot. It appeals to my sense of order!